The chain has vowed to pass what it determines to be the costs of Obamacare on to consumers. 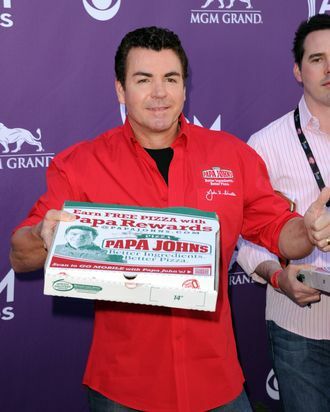 “Our best estimate is that the Obamacare will cost 11 to 14 cents per pizza, or 15 to 20 cents per order from a corporate basis,” said Papa John CEO, Mitt Romney fund-raiser, and ageless spokesman John Schnatter during a recent shareholder call. Better pizza, better political baiting: Papa John’s.